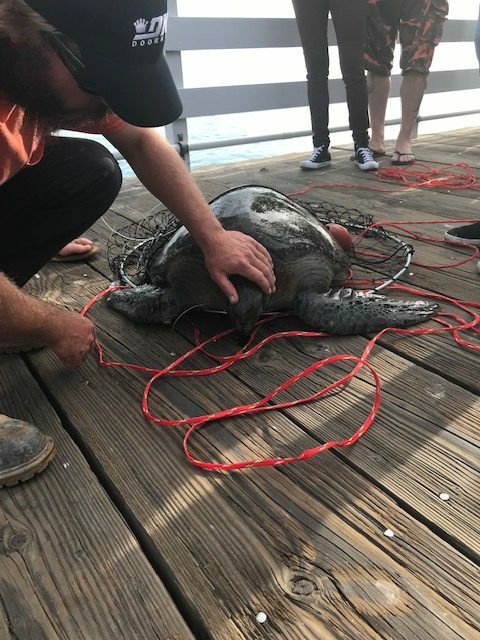 On Sunday, Nov. 4, San Clemente Marine Safety lifeguards were dispatched to the Pier to assist a fisher who had snagged a large sea turtle on his line. “Between the three guys who accidentally caught it, they lowered a lobster hoop net down to get him into the basket, hoisted him over the railing and tried to get the line and hook out of him,” said Marine Safety officer Ian Burton. 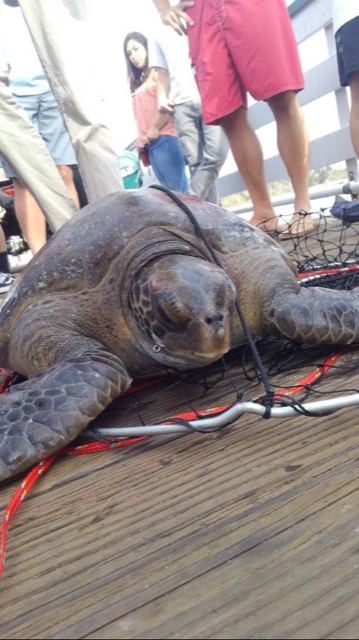 The turtle was about 150 pounds, Burton said, with a shell that was about 3 feet wide. He said it took three people to hoist the turtle. 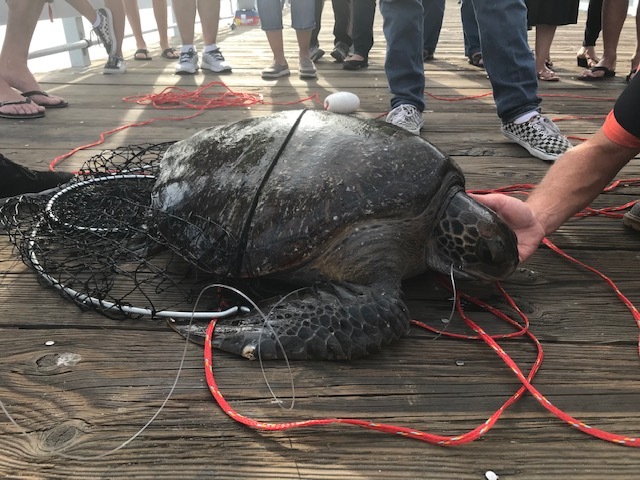 The crowd was happy to see the turtle swim away on its own power, Burton said, although they had wished more of the hook could have been removed.